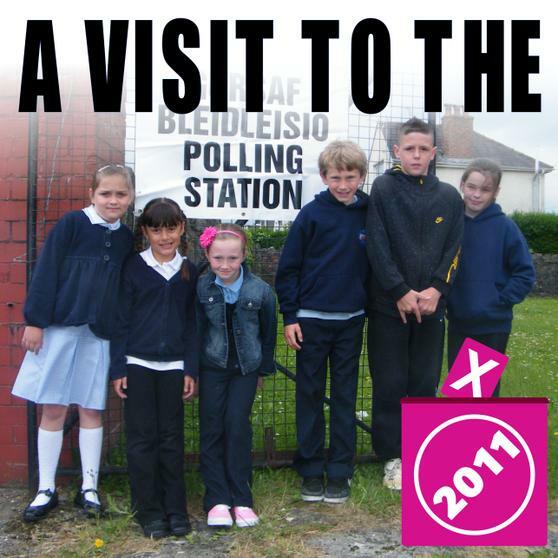 We have been hearing about lots of votes and elections and so some of our own elected members (Ambassadors & School Council) went over to our local polling station to find out a little bit more about how elections are held. 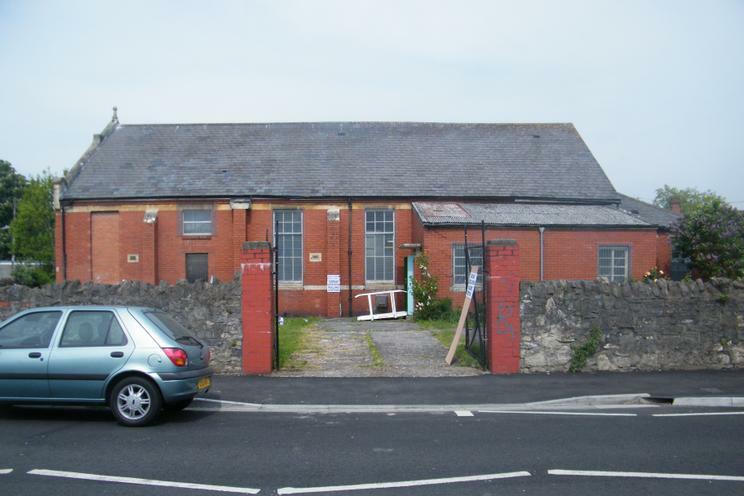 The Church Hall opposite our school is the local polling station, To make it easier for everyone to vote there are lots of these stations distributed throughout the country. 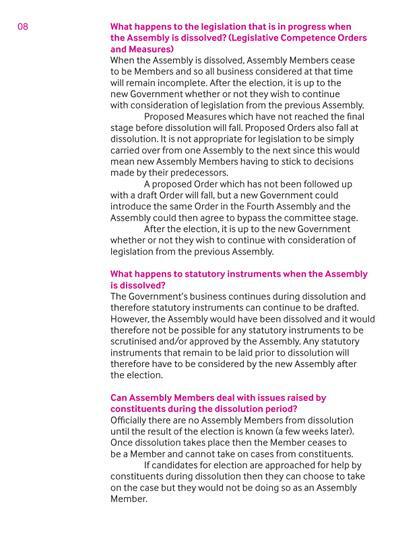 As it was lunchtime and a little quiet Chris -who is the Presiding Officer (or the chap in charge)- kindly let us see how people over the age of 18 can vote. 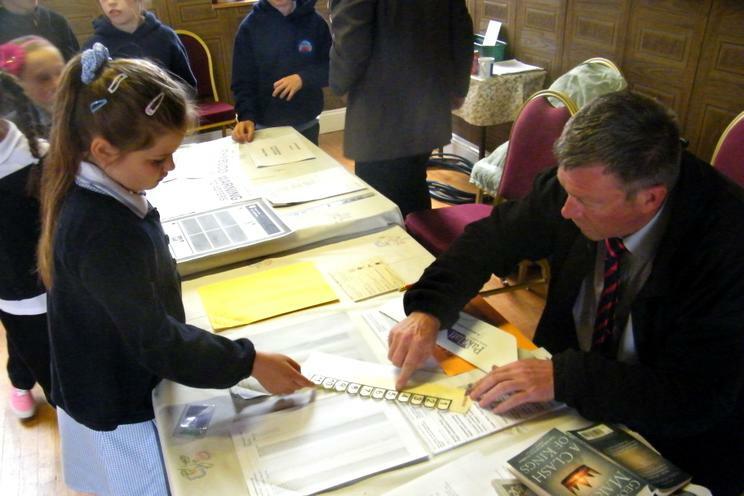 It is very important that elections are fair, Chris & Mike showed us how they checked everyone's identity before they were allowed the special ballot papers to vote on. 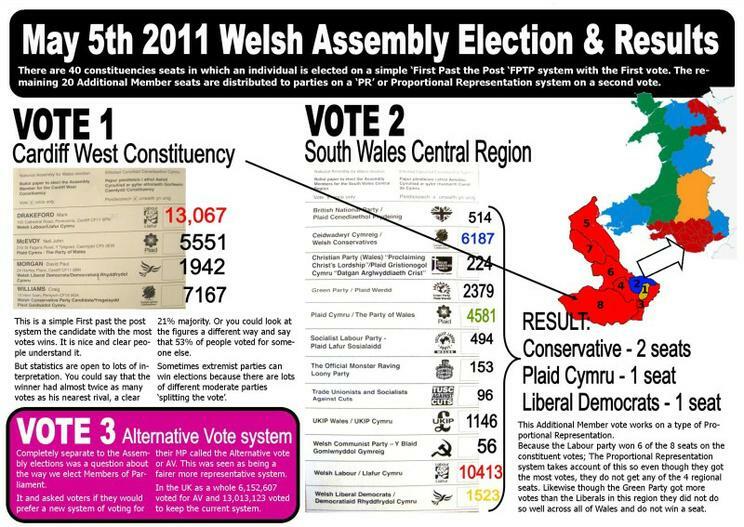 Each of the papers had a special security number on it so people could not just print off lots and have lots of votes. 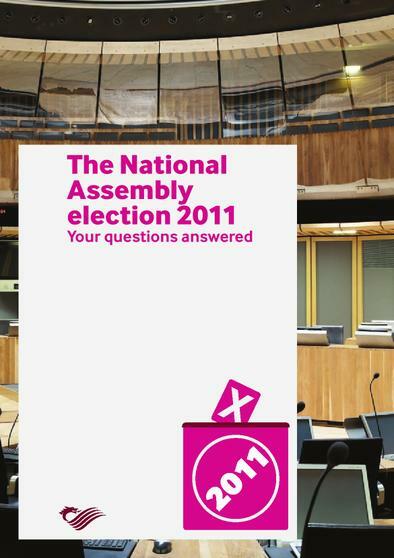 Once you were given your ballot papers you could go into a booth and make your mark in one box next to the person or party you wanted to vote for. You could vote in secret with no one else really knowing who you voted for. 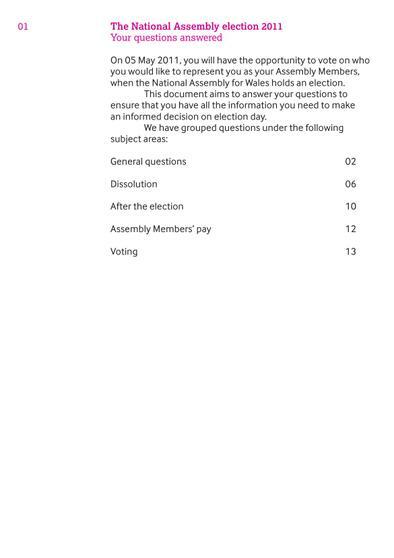 You then popped your paper into the special slot in the top of the ballot box. At the end of voting at 10 it would be shut and sent down to a special room at Sophie Gardens to be opened and counted along with everyone else's vote. All the boxes are emptied onto tables and the votes counted, it is all done in an open way with lots of people checking that all the votes are counted. 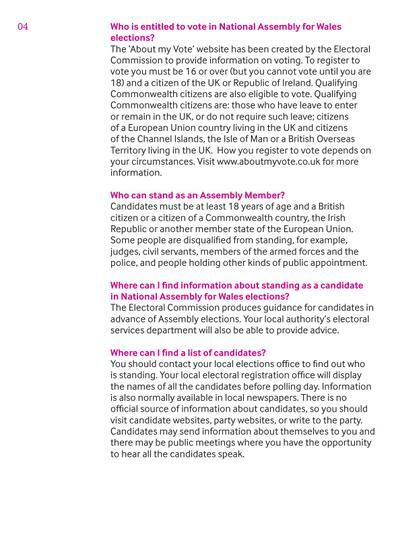 Some people might not have to go to the polling station they use a POSTAL VOTE which they complete ahead of the election and then post it to the RETURNING OFFICER. We have talked a lot about Rights and Respect at the school. 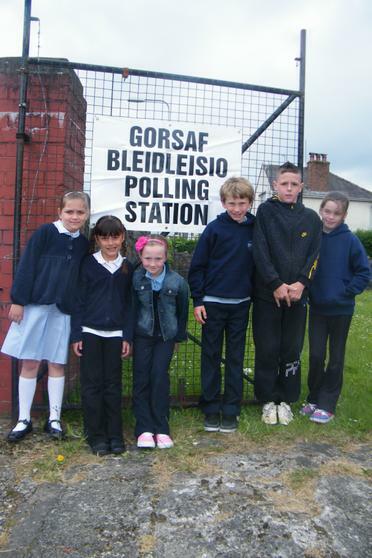 When our Ambassadors visited the Equalities & Human Rights Commission they learnt a little bit about the HUMAN RIGHTS ACT this gives all adults the "Right to a free election at reasonable intervals by secret ballot". 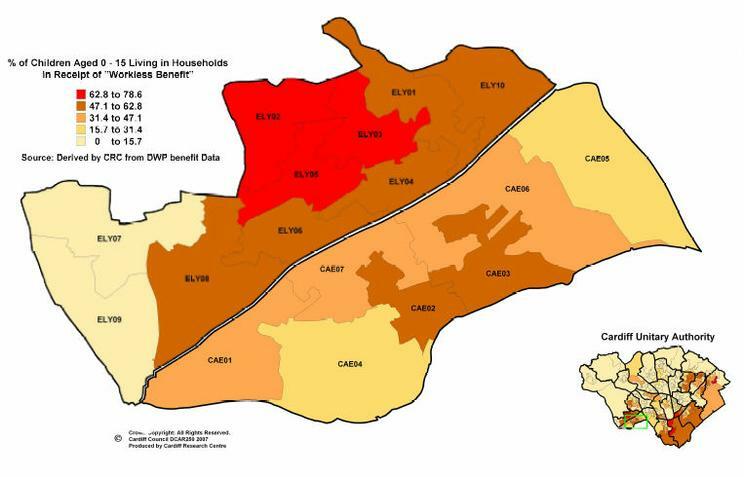 there has been a bit in the newspapers about taking away peoples Right to vote if they are in prison. 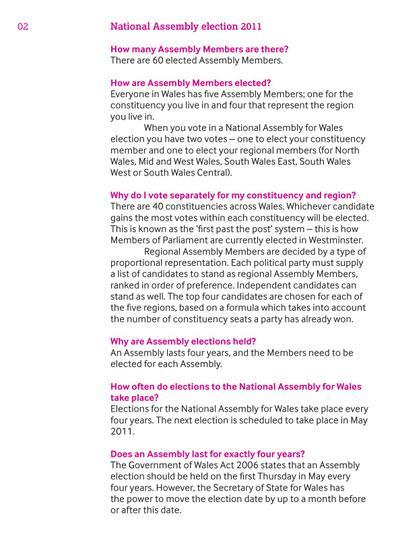 On the 5th May when we visited it was an election for members of the Welsh Assembly this meant that people were given 2 ballot papers one vote for a person for the Constituency of CARDIFF WEST and another vote for a political party for the SOUTH WALES CENTRAL REGION. 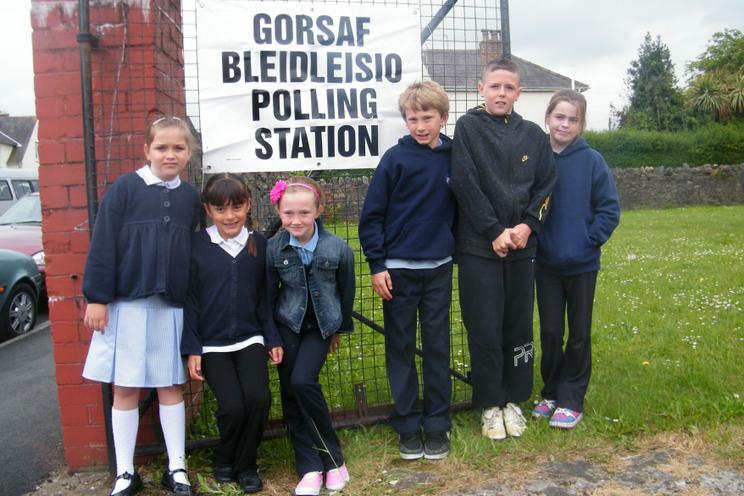 Thank you to Chris and Mike at the Polling station, thank you to all the pupils who gave up some of their lunchbreak and a jolly good game of football to visit. 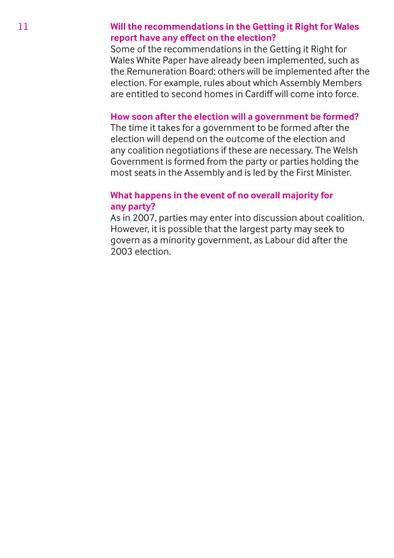 Rhodri Morgan was very active in te community when he was the Assembly Member for Cardiff West (he retired at this election and Mark Drakeford who worked as a case work for Rhodri and Kevin took over by winning the election.) 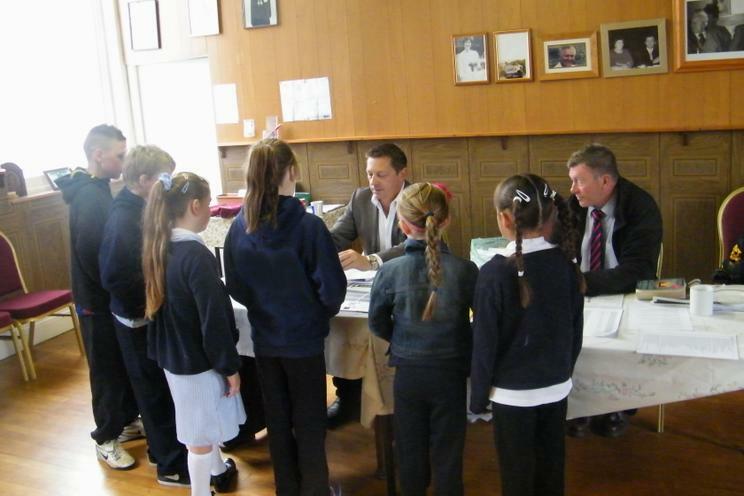 You can see him on lots of pages and events at the school including the recent Fairtrade videoconference with Uganda. 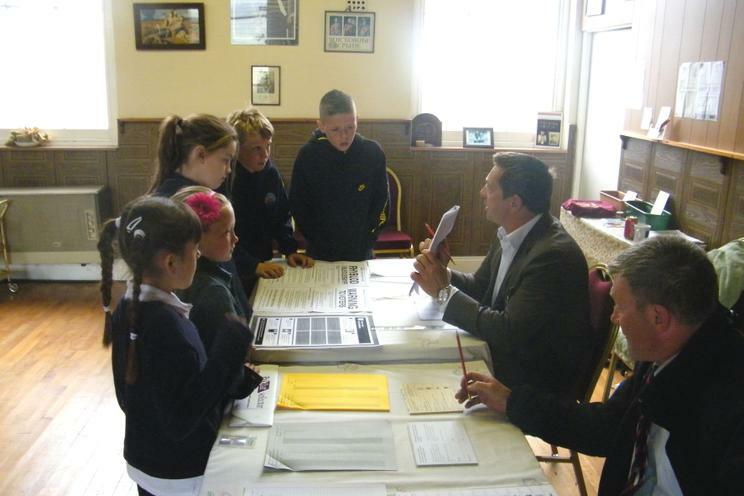 the interview the children did in 2004 was on our old website that the council had taken down. 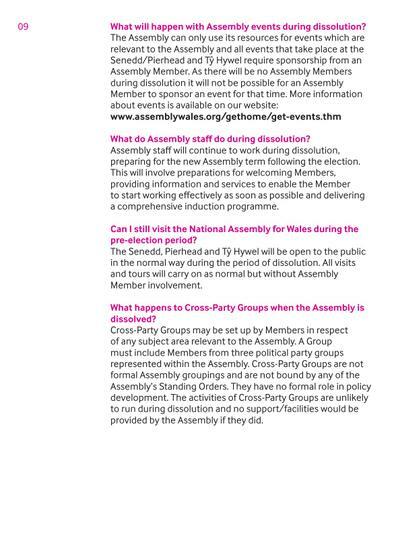 We hope they will put it back up one day, but here is the report from the local community newsletter. 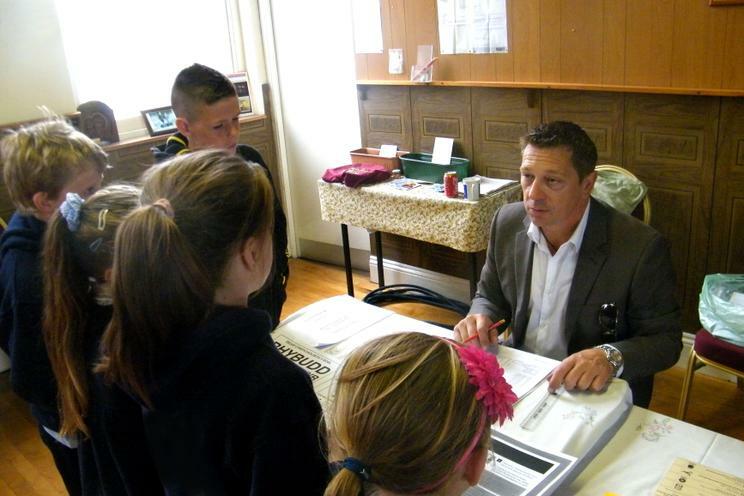 There were a few lines in our weekly parents newsletter about the visit but we have loads of exciting ideas for our School Council meetings and our own election in September. 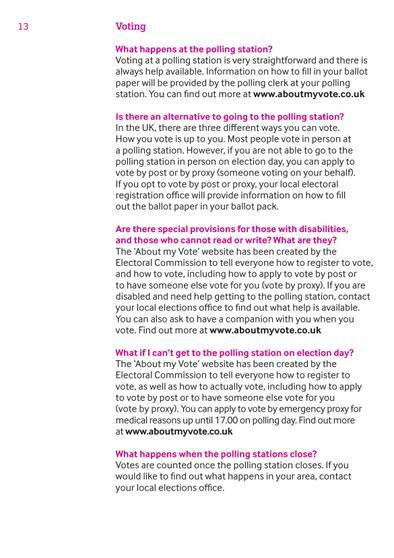 About My Vote is the Electoral Commissions website that will tell you how to vote and answer any questions you have. 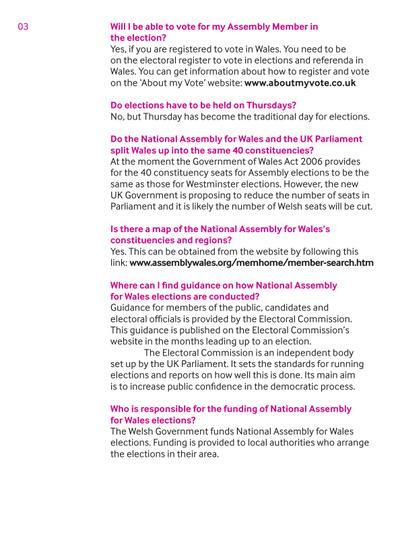 You can find out more about the work of the Electoral Commission itself on its' own website. 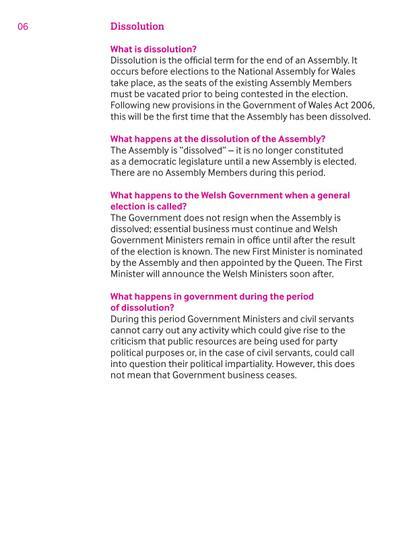 It is an independent body set up by the UK Parliament. 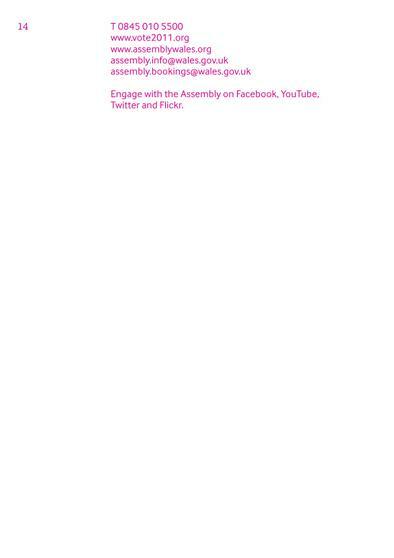 Their stated aim is "integrity and public confidence in the democratic process." 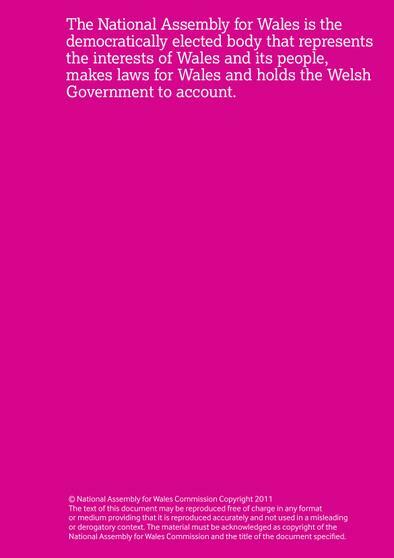 The Electoral Reform Society is a "an independent campaigning organisation working to empower and inform you, the voter." 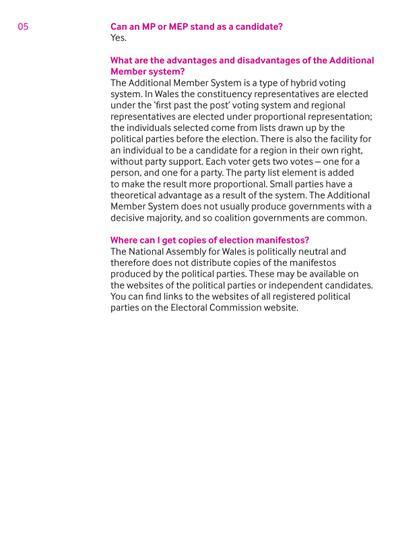 They have a Youth page and anlittle book explaining the election processes in the UK. 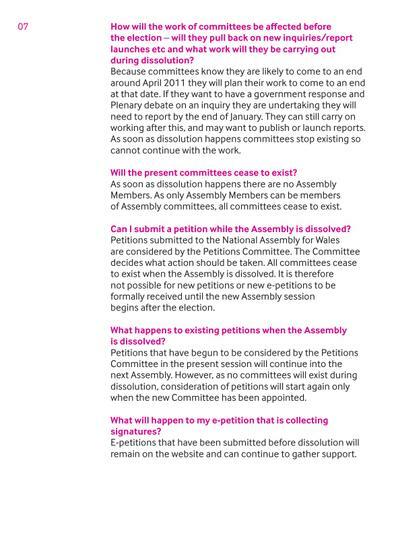 They have a Welsh section, with sections on Women Europe etc. 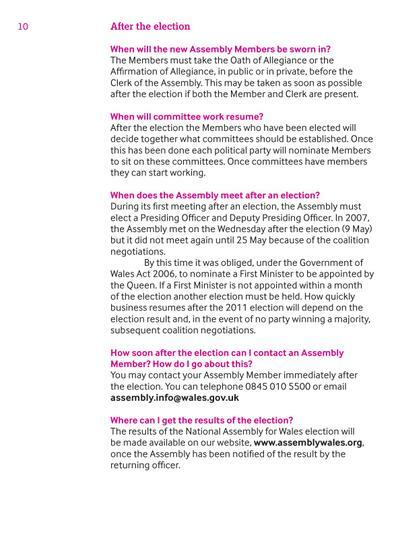 This is the National Assembly for Wales website about the Elections for 2011. 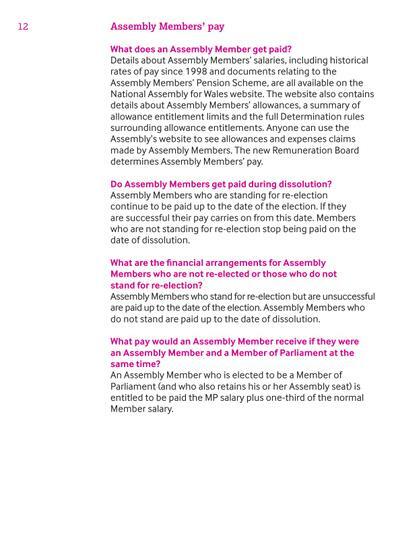 On May 5 there were the elections we saw above but this site also gives details on the additional powers for the Assembly that people voted for in March known as the Referendum.